Data on the geology, petrography, and geochemistry of previously geochemically unstudied Middle-Late-Pleistocene rocks from Tolbachik volcanic massif (Central Kamchatka Depression, CKD) are presented. Two volcanic series – middle-K and high-K were erupted. The geochemical history of the massif was started earlier 86 ka (K-Ar dating) with the formation of the Tolbachik pedestal presented by middle-K series. During stratovolcanoes formation both series occur and the role of high-K melts was increasing with time. In Holocene high-K rocks are dominated but some cinder cone lavas are presented by middle-K high-Mg melts which suggest that both volcanic series are still exists. The computer modeling show that both series can be explained by the process of crystal fractionation at different water content from nearly or the same mantle source similar to high-Mg basalts of 1975 Northern Breakthrough. Middle-K rocks could crystallize at water-rich conditions (more than 2% of H2O) while the high-K rock could crystallize at dry conditions at the same pressure. 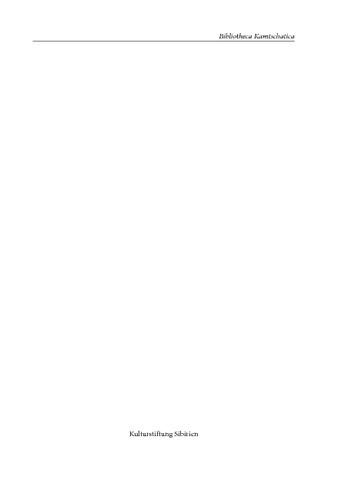 However the existence of different mantle sources and possible magma mixing cannot be excluded. Our data show that fractional crystallization at different P-T-H2O-fO2 conditions can be one of the main processes responsible for rock variations at CKD. 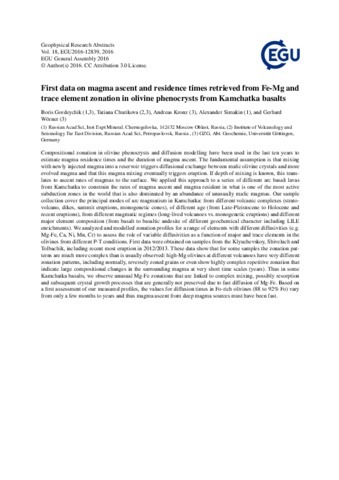 Sr-Nd-Pb isotopes suggest 2-4% of crustal assimilation to the magma chamber during pedestal and stratovolcanoes formation while lava-cinder cones are not show evidences of crustal assimilation. 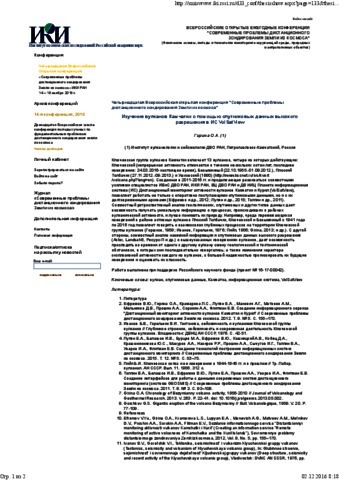 Major and trace element data coupled with K-Ar dating provide strong evidence that Povorotnaya mount located in 8 km NE of Plosky Tolbachik is the old block of the Tolbachik massif pedestal and for the moment the oldest known object (306 ka by K-Ar dating) in Klyuchevskaya group. Geology, petrology and geochemistry of the Tolbachik volcanic massif, Kamchatka, Russia. 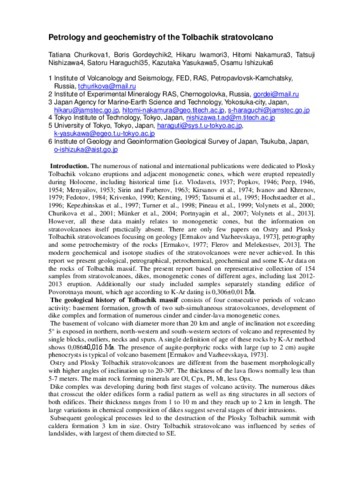 Available from: https://www.researchgate.net/publication/282656425_Geology_petrology_and_geochemistry_of_the_Tolbachik_volcanic_massif_Kamchatka_Russia [accessed Jun 19, 2017]. 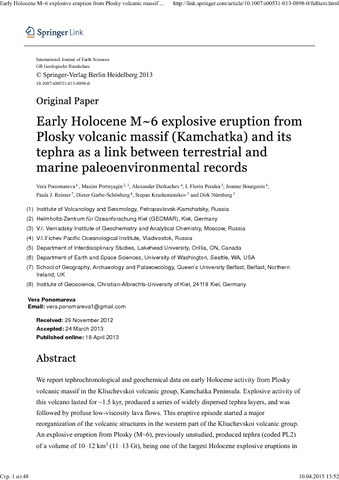 The numerous of national and international publications were dedicated to Plosky Tolbachik volcano eruptions and adjacent monogenetic cones, which were erupted repeatedly during Holocene, including historical time [i.e. 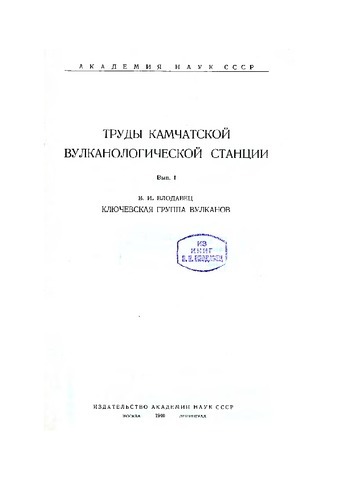 Vlodavets, 1937; Popkov, 1946; Peep, 1946, 1954; Menyailov, 1953; Sirin and Farberov, 1963; Kirsanov et al., 1974; Ivanov and Khrenov, 1979; Fedotov, 1984; Krivenko, 1990; Kersting, 1995; Tatsumi et al., 1995; Hochstaedter et al., 1996; Kepezhinskas et al., 1997; Turner et al., 1998; Pineau et al., 1999; Volynets et al., 2000; Churikova et al., 2001; Münker et al., 2004; Portnyagin et al., 2007; Volynets et al., 2013]. However, all these data mainly relates to monogenetic cones, but the information on stratovolcanoes itself practically absent. 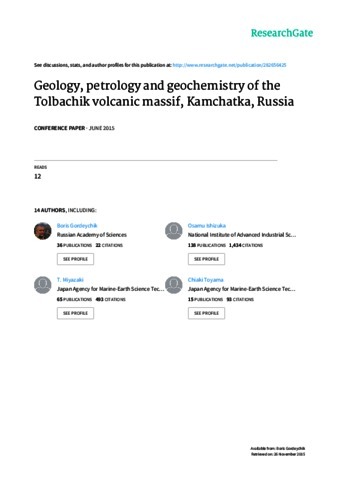 There are only few papers on Ostry and Plosky Tolbachik stratovolcanoes focusing on geology [Ermakov and Vazheevskaya, 1973], petrography and some petrochemistry of the rocks [Ermakov, 1977; Flerov and Melekestsev, 2013]. The modern geochemical and isotope studies of the stratovolcanoes were never achieved. 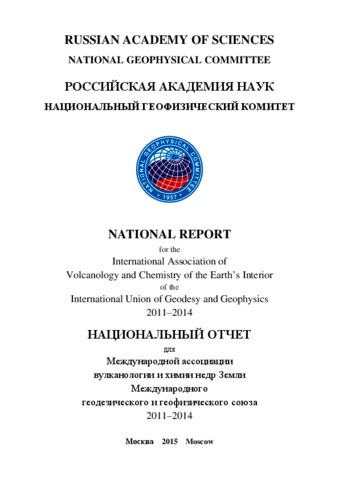 In this report we present geological, petrographical, petrochemical, geochemical and some K-Ar data on the rocks of Tolbachik massif. The present report based on representative collection of 154 samples from stratovolcanoes, dikes, monogenetic cones of different ages, including last 2012-2013 eruption. Additionally our study included samples separately standing edifice of Povorotnaya mount, which age according to K-Ar dating is 0.306±0.01 Ма.